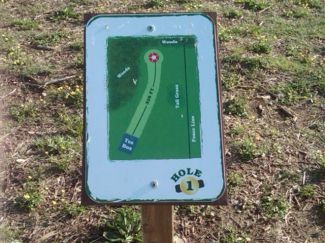 Short beginner course behind the Providence Mall. I-40 to exit 226. Turn left onto Belinda Pkwy/Providence Way. 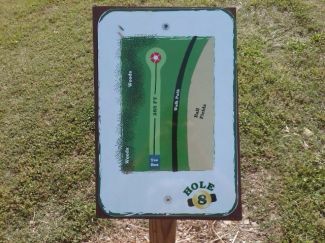 Turn left onto Millennium Blvd/Mundy Memorial Dr. and go to park at end. 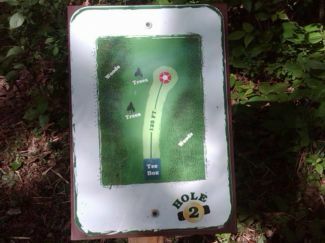 Park soon after entrance gate then follow the gravel road along the fence just past the entrance gate to the back fence and go into the woods where you will immediately find hole #2, which is now the first hole. 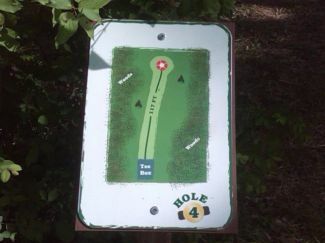 Continue through woods playing holes 3 thru 7, then play the 2nd hole #7 thru 9 to finish at opposite end of parking lot. 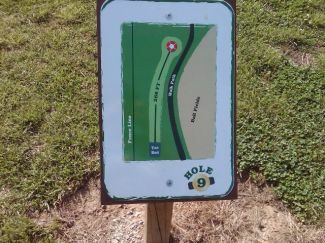 Half of this practice course is 90 - 120 feet fairways. Good for young beginners. 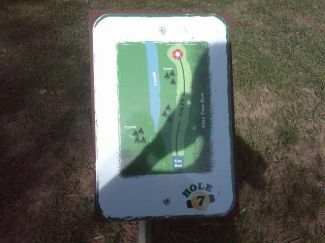 Good course for working on the short game. 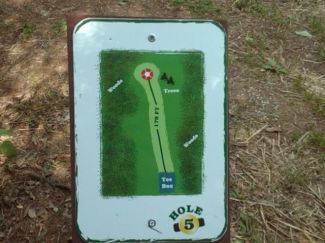 Usually not crowded and being a shorter course overall it plays fast so you can get in a complete round of 9 in approximately 45 minutes. When it's football season forget it as the football traffic parks on fairways of 1, 8 and 9 making those three non-playable.